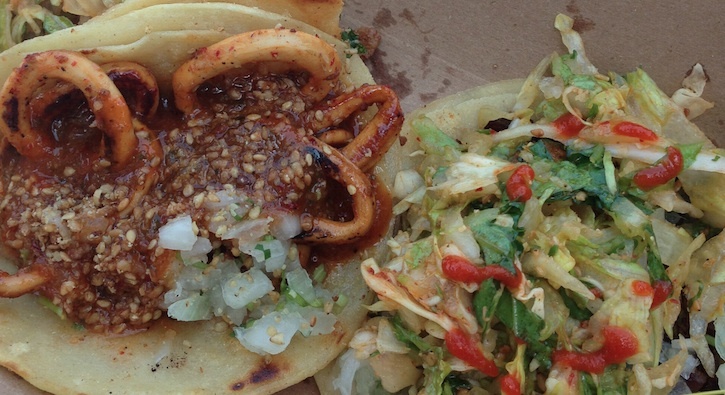 Everyone’s heard about the Kogi BBQ taco truck. Over the last few years the creator, Roy Choi, has had his brand plastered all over media outlets like TIME, the Los Angeles Times and the Hollywood Reporter, just to name a few. In some ways many feel Choi is single handedly responsible for the food truck revolution in L.A. But maybe you’ve never been and you’re still skeptical. Maybe you’re not sure if the line is worth it or if the food will meet the hype. Well I’m here to tell you that it is, and it will. 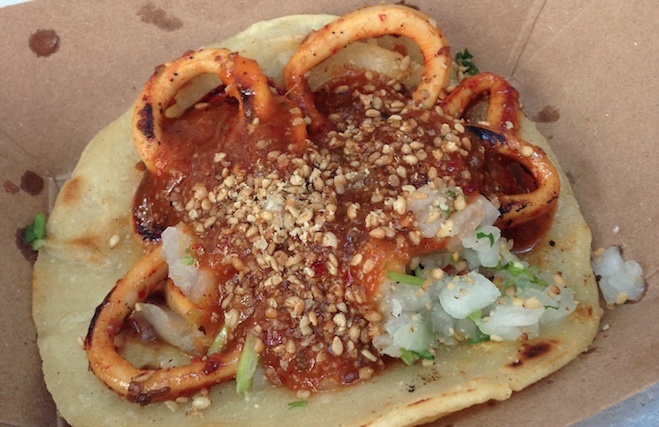 And here’s a quick rundown of my top 5 reasons why you need to put Kogi tacos on your food truck hit list, ASAP. There’s something to be said about being a pioneer. Many have imitated, but none have been able to duplicate. 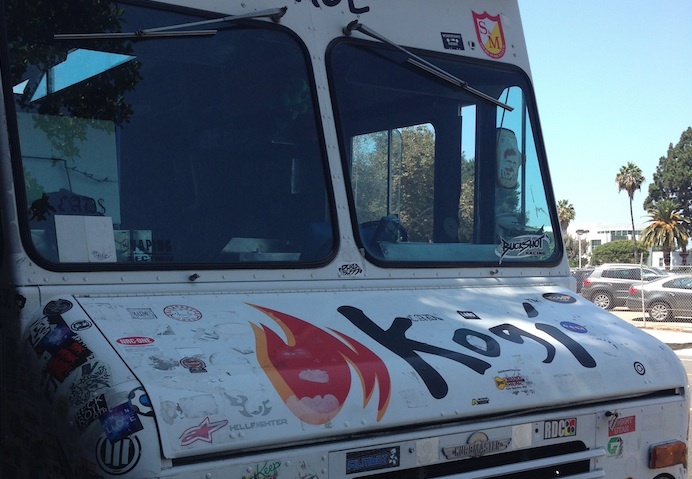 The Kogi truck has been around since 2008, when the food truck craze didn’t even exist. Fresh ingredients and quality meats are served out of this truck. Tacos are $2.29 a pop and come slathered in cilantro onion lime relish and a chili soy Kogi slaw. The most expensive item on the menu is the Pacman Burger at $8 it is a mash up of three meats, a combination of sauces, slaw, jack and cheddar cheese. Trust me your case of the munchies will be silenced forever upon eating the Pacman Burger. Once you bite into the taco the intensity of that BBQ hits you like a wall of bricks. The thing is, it’s the kind of wall that you want to run into again and again. The menu looks tempting enough to order one of everything. So do yourself a favor and choose a combo meal. Mix and match burritos, sliders, quesadilla, etc… with a taco and a drink. Bon appetite! 5. They Have Dessert Too! Oh yeah, and the menu also includes more than just tacos, with “fun” dessert items such as their Chocolate Tres Leches and Sriracha Bar! Good way to cap things off if you’re really ready to indulge. Pro-tip regarding waiting in line: The Alibi Room in Culver City serves Kogi tacos at the bar. No line! Order a beer and enjoy your tacos without the hassle of standing behind 40 other hungry souls.